Types of Mobile Roulette - Discover Various Game Variations and Play Them! 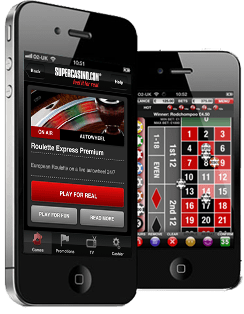 | MobileRoulette.me - Find The Best Mobile Roulette Casinos! No mobile Roulette based website would be complete if it didn’t showcase the many different types of mobile Roulette games that you are going to be able to access and play on any type of device, and below we have a complete overview and description of each variant you are going to come across. It is worth pointing out that much like any casino game which has several different variants you are going to find some mobile Roulette games much more appealing than others. The appeal to Roulette players of any one variant will be the overall house edge that any game offers based on its design and range of winning payouts. The best variants to play will always be those with the lowest house edge, failing to play such games will see you running the very real risk of losing much more quickly. So to help you select a perfect variant below we have compiled a definitive guide to all of the different ones on offer at all mobile casino sites. Let us start off by introducing you to the three most commonly found Roulette games offered by most mobile casino sites. Do pay careful attention to the house edge mentioned alongside each of these variants as there are some large differences in those house edges and out of the three games mentioned below, one of them offers excellent playing value! American Roulette – When you first take a look at the actual wheel attached to the American Roulette game you will notice it boasts an extra ball well. This is a double zero well and as such that is also an additional betting location available on the games betting layout. Unfortunately you will find the standard winning payouts on all of the betting locations, the main one being a 35 to 1 pay out for a Straight Up single number bet. This will result in this variant offering a player a game which comes with a house edge of a high 5.26% which as you are about to find out is very high and offers players very poor value! European Roulette – The European Roulette game is one that most players will tend to play. This game is slightly different in regards to the American variant mentioned above is as much as there is only one single zero on the wheel and not two. As the payouts you will receive for placing a wager on any of the betting positions are the same as that American variant, but with just one zero on the wheel the house edge drops down to a much more manageable 2.70%. French Roulette – The final standard Roulette variant you may come across at several mobile casino sites is the French Roulette game. You cannot help but notice many of the betting locations on this wheel are displayed in the French language, but do not let that put you off playing it! The French Roulette game is almost identical in its design to the European Roulette game, and whilst you will have just one zero on the wheel, when a zero is spun in a special rule comes into place should any player have placed a bet on any of the even money paying betting positions on the betting layout. The rules is known as the La Partage rule, and all players who have placed one or more of the even money paying bets when a zero is spun in will get half of their stakes back. So when playing this variant on your mobile device and you bet on those even money paying locations the house edge you are playing against is just 1.35%. Below are some of the more advanced variants of Roulette you may come across at various online casinos. Many of the games listed below have some form of bonus betting options or bonus feature, and whilst on first glance those additional ways to win may seem appealing they will of course have their own house edges attached to them, and often those house edges are quite high! Live Dealer Roulette Games – You will be able to place wagers onto a land based casinos Roulette wheel from your mobile phone without having to visit such a venue! To do this you must play at a mobile casino site offering the Live Dealer Roulette games. You place those wagers via your mobile phone and can view on your devices screen a live video stream broadcast from the casino, which will allow you to see quite clearly whether you have won or lost, as the camera is always panned on the Roulette wheel! Roulette with Hot Streak Bonus – This mobile Roulette game has several bonus bet options, and you can pick out one street of six numbers and place a unique side bet on those six numbers. Should any of them spin in after you have placed a wager on the respective bonus betting box a bonus payout is awarded to you and the bet then stays in place for the next spin! The bonus payouts grow the more times one of your six chosen numbers spins in consecutively, however if at any time one of your six numbers isn’t spun in that bonus bet is obviously a losing one! 3 Wheel Roulette – The 3 Wheel Roulette game will look very strange when you fist see it for the wheel itself has four inner wheels. When the game is set into play you will see just one ball in play on the inner most wheel and the other three wheels will each spin. When the balls comes to a rest on the inner most wheel and the other three wheels stop also, the numbers directly in line with the ball are deemed to be the three winning numbers. You will of course have to pay three stakes per spin and a special Colour Up Bonus Bet is offered allowing you to place a series of side bets in the hope that the three numbers that spin in are all the same colour or all the same numbers. Double Bonus Spin Roulette – The Double Spin Roulette game is played on an American wheel, so there are two zeros in play, however there is also a special bonus well on the wheel which is yellow in colour and it is one and a half times lager that all of the other ball wells. When the ball is spun and it lands in that bonus well then the game will award you with two bonus spins of the wheel and all of your bets placed on the spin that spun in the bonus location remain in place on the betting layout. A special additional winning payout could be awarded during those two bonus spins which can be worth 1200 times your staked amount! Where To Play Mobile Roulette?